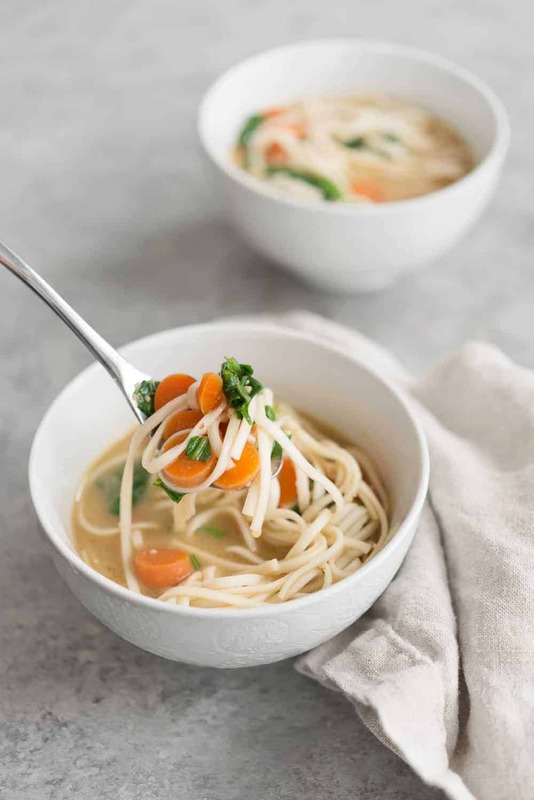 The flu has hit the Lenz house hard this week and I’m pretty sure I’ve consumed nothing but tea, plain toast and this soup ever since Sunday evening. 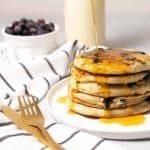 I’d call this sick food, but really, it’s the perfect winter food. 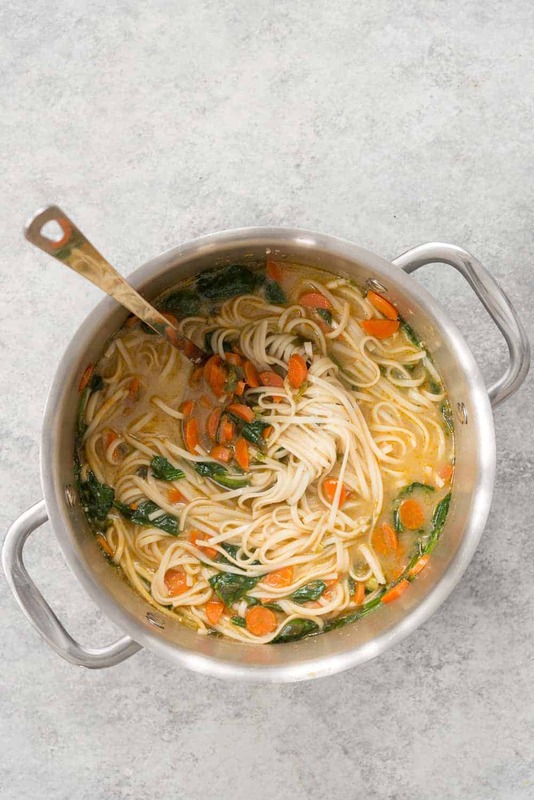 It’s a rich, salty, flavorful broth with noodles, soft carrots and a handful of cooked greens. 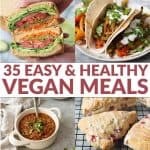 It’s simple, nourishing and perfect to nurse you back to health or comfort you wherever you need it most. 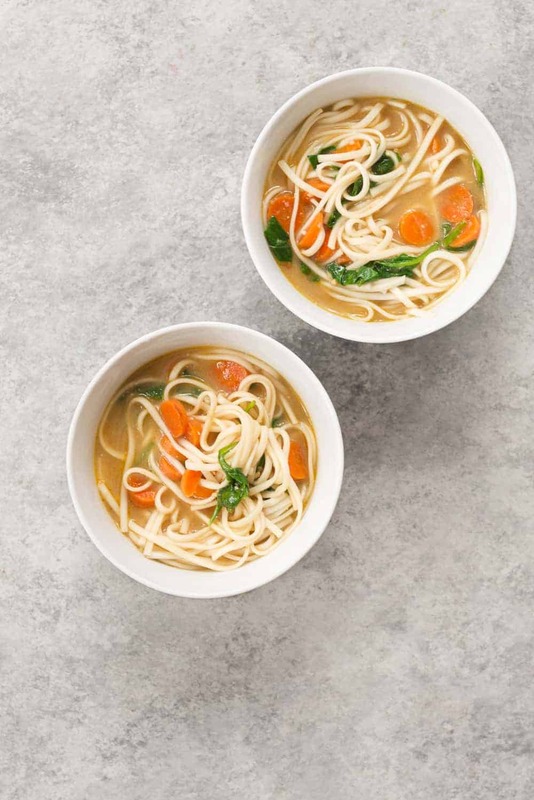 If chicken noodle soup and miso soup had a love child, it would be this soup. I’ve given it to Vander as many times as I’ve made it for BL and I and he slurps it down with so much energy, it makes me laugh every time. He might look exactly like his dad, but he’s got my taste buds- no doubt. I know I think all my recipes are fairly easy, but this one takes the cake. The key in miso soup is not to let the broth get too warm before adding in the miso. 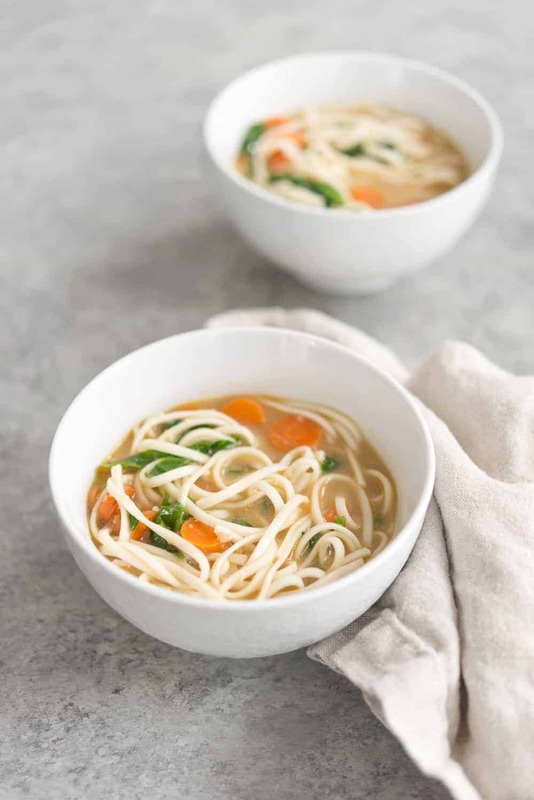 Heat kills any of the beneficial probiotics that miso contains, so you’ll want to remove some of the broth then add in the miso to dissolve and return back to the pot just before serving. I prefer white miso for a more mild flavor, but any miso paste should do. If you don’t cook with miso often, go ahead and buy the tub and I promise you’ll use it over and over again. If not in this soup, then enjoy it in my other miso soup, this ginger miso salad dressing, this warm kale and farro salad with miso dressing, or this kale and miso power bowl. 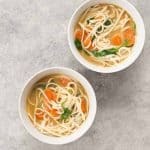 Do you have a vegetable broth recommendation, I’ve tried lots but never found a favorite? Thanks! I really like Pacific Food’s vegetable broth or Better Than Bouillon vegetable base!